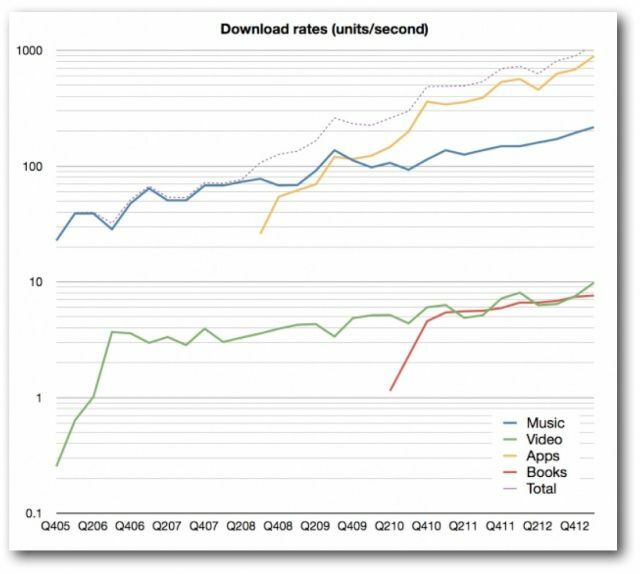 iTunes users spend an average of $40 a year on digital content, according to the latest report from Asymco’s Horace Dedio. 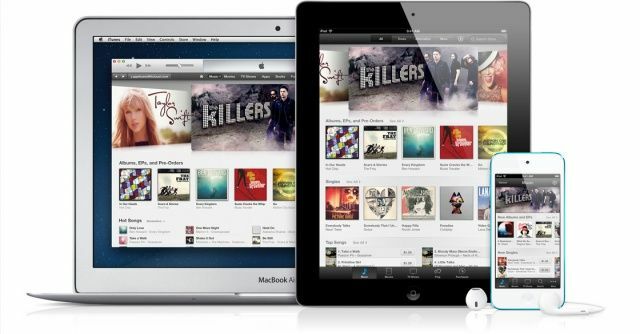 And with more than 500 million users, Apple is raking in over $5.5 billion in iTunes sales revenue every single quarter. That’s more than some technology companies see in total, and Apple’s making it on just one service. But of course, iTunes encompasses a number of different products. It began by selling only music, but customers can now buy movies, TV shows, books, and of course, apps. And they are buying those things at quite an incredible rate. iTunes currently sees over 1,000 downloads every second, with apps accounting for a whopping 80% of those. It’s no wonder Apple’s paid over $9 billion to app developers so far. In fact, iTunes app downloads are so big that they currently account for 74% of all app sales worldwide. Music downloads are second most popular, while video content — including music videos, TV shows, and movies —takes third place, and books come in fourth. I’m quite surprised that the average iTunes user only spends around $40 a year. I can quite easily spend more than that every couple of weeks, and that’s just on apps —I can’t remember the last time I bought music or movies from iTunes, because I subscribe to Spotify and Netflix. It’s certainly not a bad figure, especially not with half a billion users spending $40 a year each. But it shows there’s certainly still room for growth.